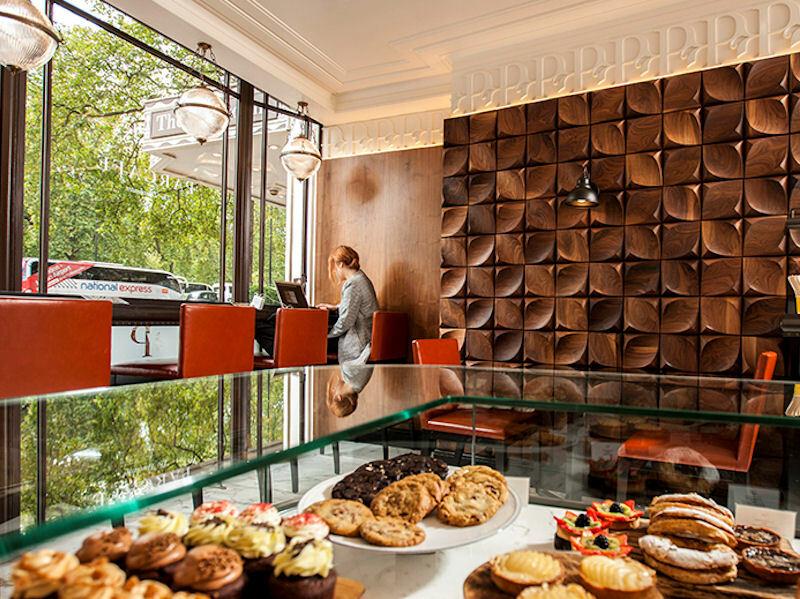 CADA Design revitalise pre-existing space on the ground floor of The Dorchester Hotel. CADA Design were approached by The Dorchester Hotel in 2013. 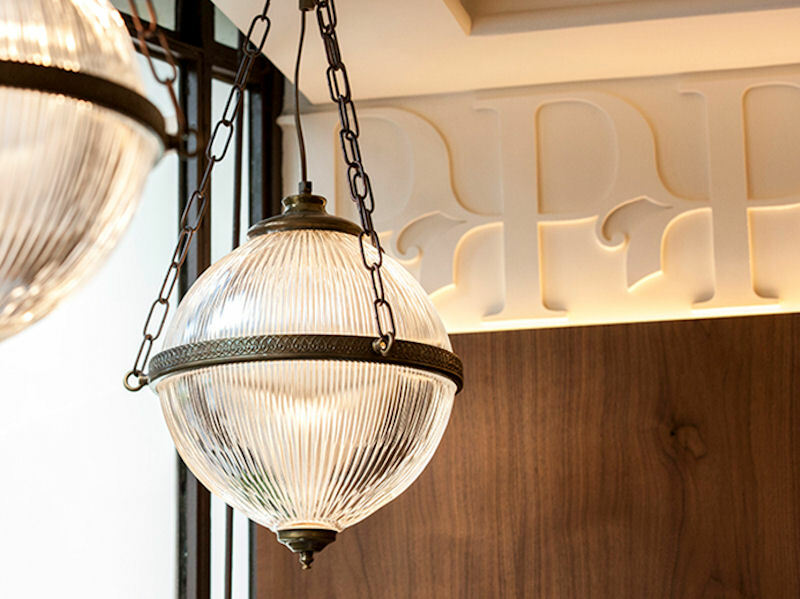 CADA Design were tasked with revitalising a pre-existing space located on the ground floor of The Dorchester Hotel, next to their iconic Ballroom. Now there lies Parcafé, a speciality coffee shop which sells locally sourced coffee by Alchemy, along with teas, fresh juices, pastries, sandwiches and salads. Parcafé's location played an important part in the concept's creation. 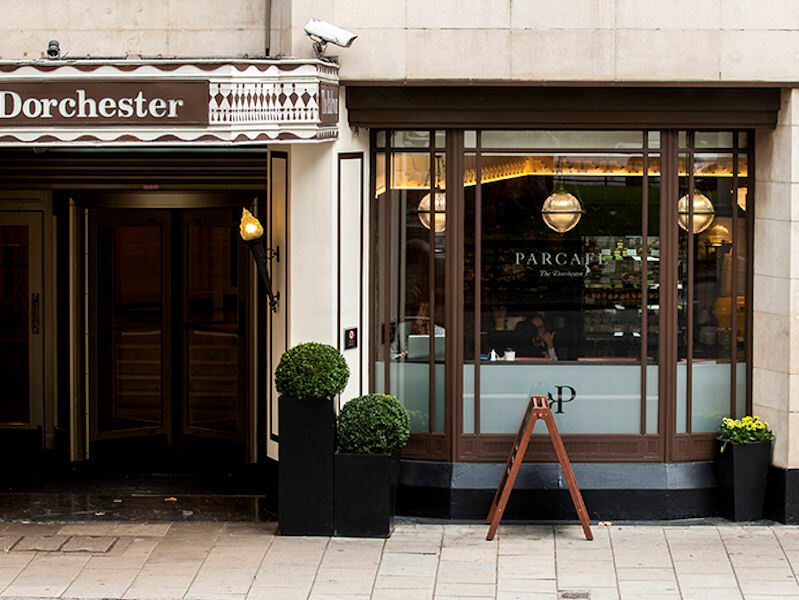 As a celebration of its park side setting, the Parcafé identity was designed to hint at leaf-like characteristics, most notably within the 'P' motif, whilst reflecting the heritage of The Dorchester Hotel. 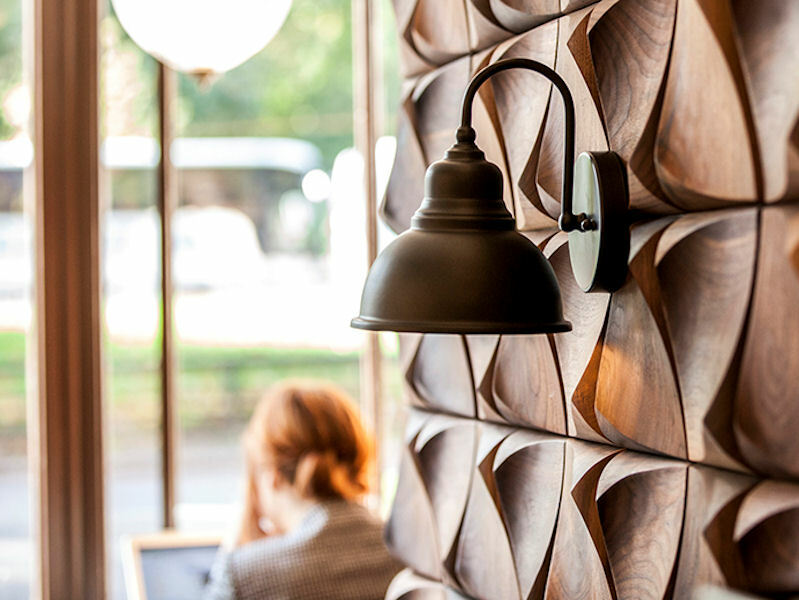 The parks narrative is continued through the interior design, with branch-like food displays and a beautifully crafted wooden wall, which creates richness and warmth. CADA have been leading specialists in F&B design since 1992. The design team have a broad range of knowledge regarding both design and food production. The Dorchester recognised this confidence and felt CADA were well equipped to transform this small space into a luxurious 'jewel'. 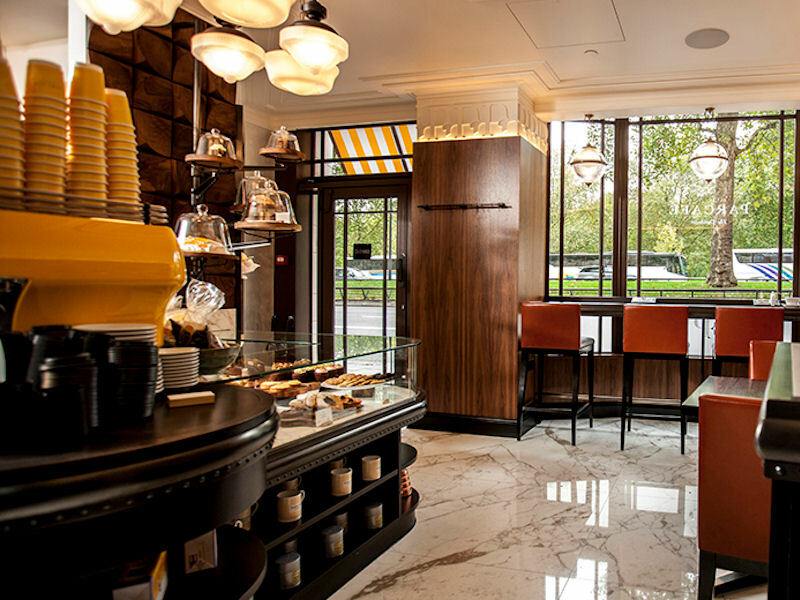 Parcafé is a coffee shop, patisserie and retail platform which covers a tiny 130 ft ². CADA used window seating, and shelved display platforms to create a multi-functional space. CADA has achieved an exquisite level of sophisticated elegance within the tiny 130 ft ² space. The scale of the café was a challenge that CADA Design was all too happy to take on. Now The result stands jewel-like next to The Dorchester Hotel's grand entrance and all of the heritage within. Yellow has been an almost unnoticed yet signature Dorchester colour since the hotel opened in 1931. CADA wanted to bring the yellow back into focus and commissioned a bespoke vibrant espresso machine in Dorchester yellow from specialists La Marzocco, based in Florence, Italy. The coffee machine is considered the heart of the offer and its pop of colour, the perfect finishing touch. 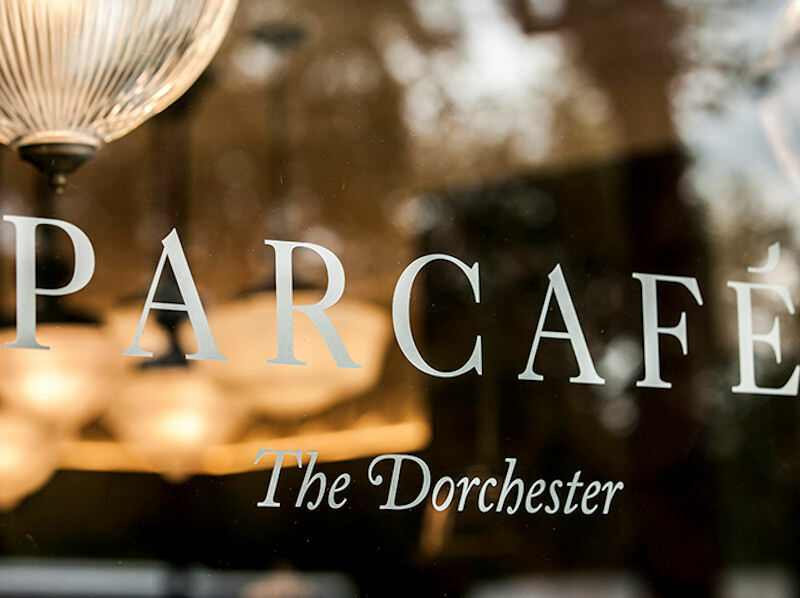 As a part of the iconic Dorchester Hotel, Parcafé had to live up to high expectations. 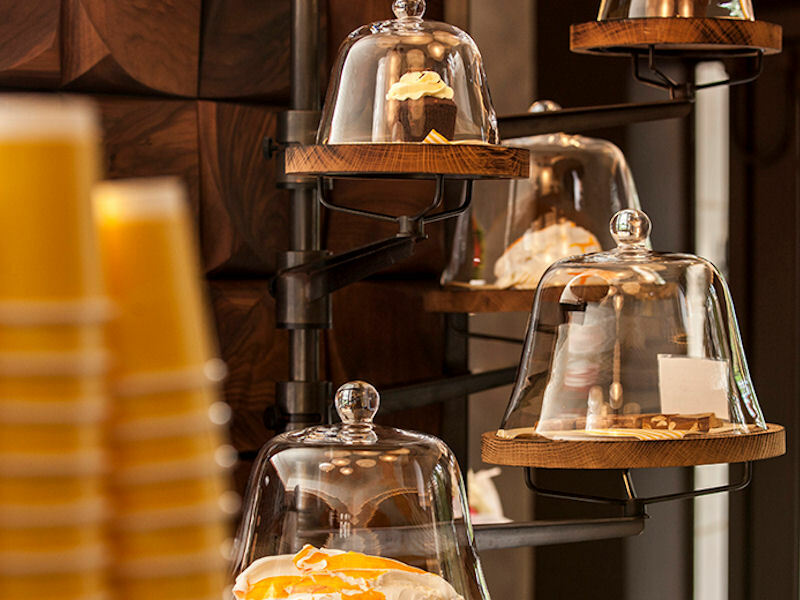 CADA carefully considered every element of its design, creating a contemporary coffee shop whilst staying in keeping with the rest of the prestigious hotels design. CADA used imaginative and bespoke materials to create a unique and innovative design in a very limited space.